I have such a one track mind. It is always on food. Mainly cheese, crumpets and pizza. I just cannot help it. I am one of those people that just constantly thinks about bad things. I do get a craving for salads and vegetables too but I act upon those a lot less frequently. But I acknowledge that pizza is expensive. Go to a supermarket and the ones that excite can be anything from £4 to £7 unless you happen to catch them at a discount. And let us not even consider how expensive a takeaway pizza is, even though the dips and lack of effort are perfect, they just never quite feel worth the £15 (that is after all a lot of normal food!). So when we did a recent ASDA delivery I decided enough was enough. Making pizza, or at least topping pizza, is actually incredibly fun and involves a fairly small amount of ingredients. The following is completely a guide and I recommend you just let your creativity and tastes take you away. Also the images were taken from Snapchat because I am the idiot that forgot to take normal images as I was going along. ● A pizza base. 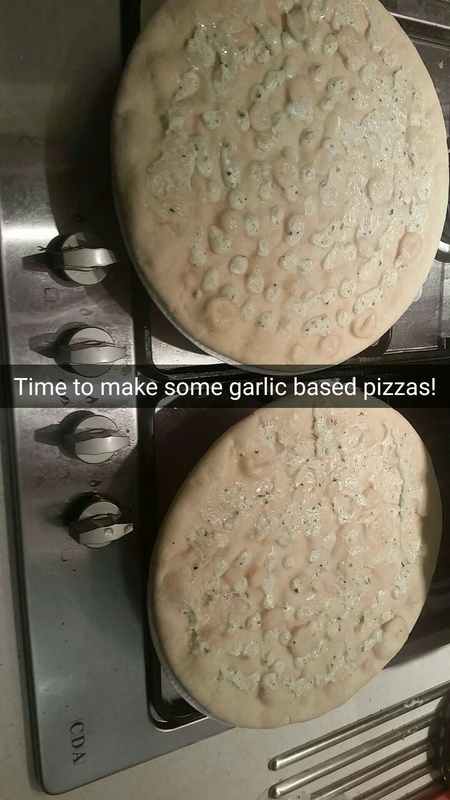 I used a garlic one. ● Tomato sauce. I used a basic ketchup. ● Mushrooms. I used standard white mushrooms. ● Pepper. I used half an average red pepper. ● Tuna. I used half a tin for two pizzas. ● Anchovies. 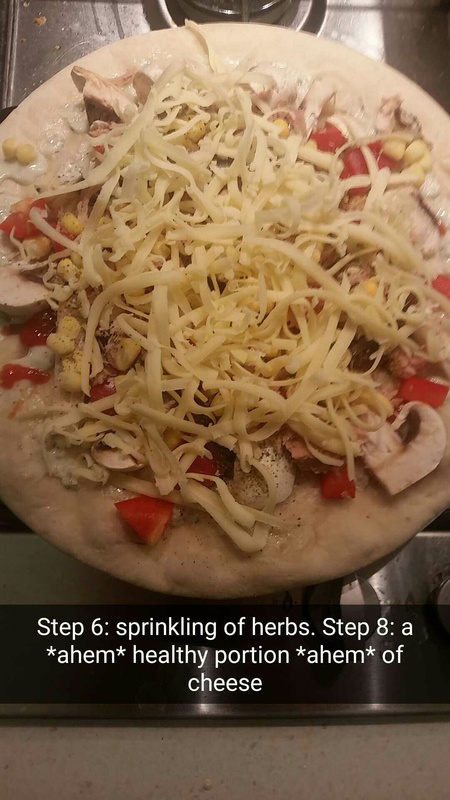 I used two thirds of a largely drained tin for two pizzas. ● Herbs. I used average dried mixed herbs. ● Sweetcorn. I used frozen but you can used tinned too. ● Cheese. Whatever strength and type you like but make sure it is one that melts. I used extra mature cheddar. Unwrap your base and place them on a surface that is easy to get to. Mine came on those polystyrene rounds so I kept them on there and placed them on the hob so I still had chopping and preparation room. This step is completely optional. 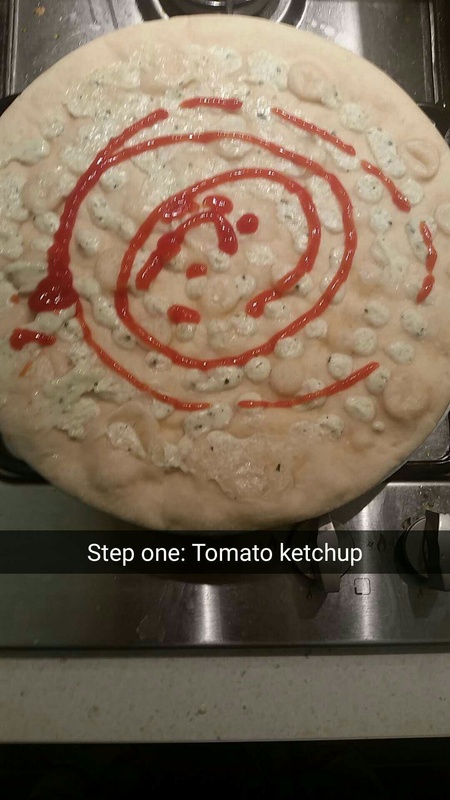 I wanted to add a little extra sauce to the base as I really hate dry pizzas so I squeezed some ketchup on. Whilst I could easily just cover the entire thing in a block of cheese I know, as we all do, that it is about balance. 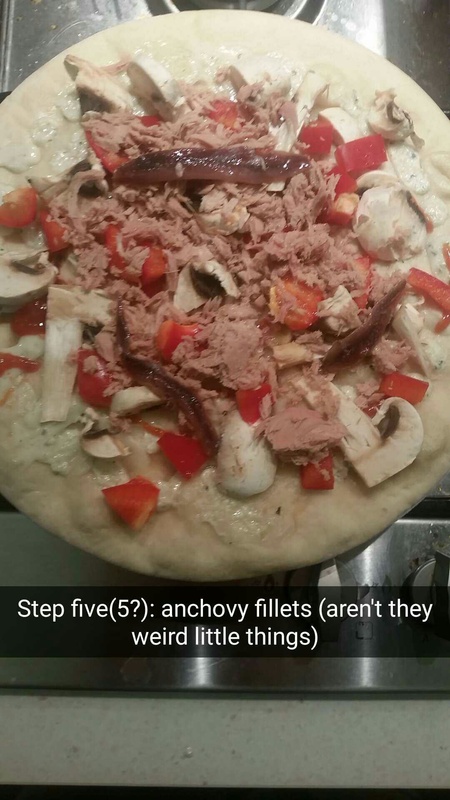 In this case we are starting super simple with just some mushrooms roughly chopped up and scattered around. 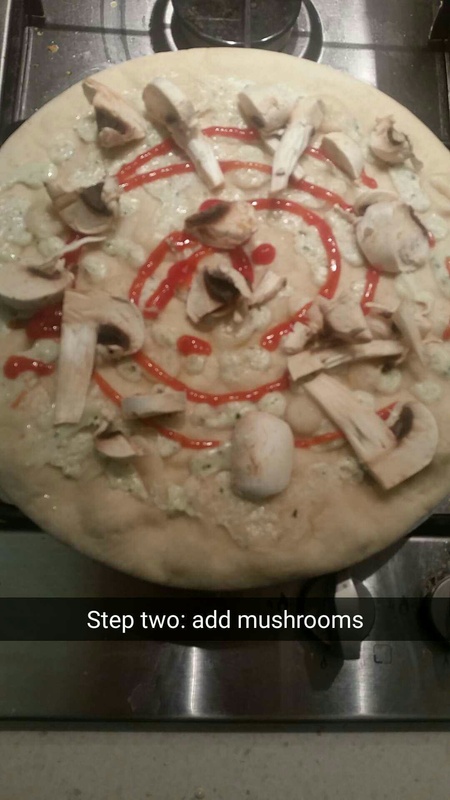 I used two medium sized mushrooms for each base. I also left them raw as they do not take that long to cook on the base with all the oils that will surround them. A pizza always looks better if it has a little colour I find. It brings it to life and makes it feel a little healthier than it actually is. 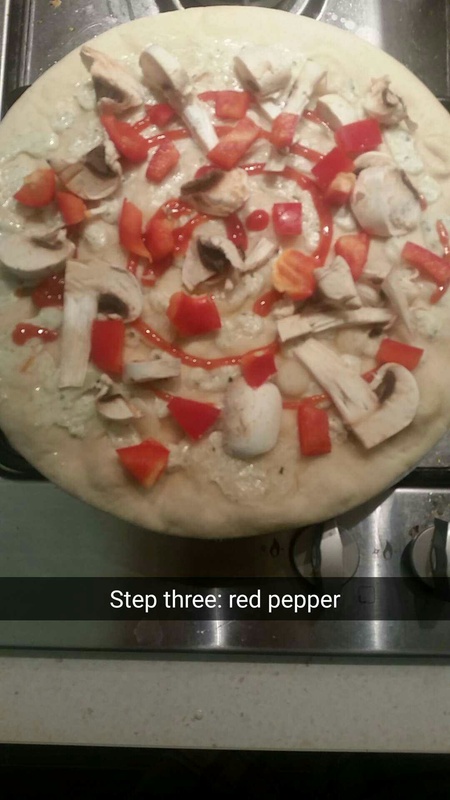 I find that pepper works really well with fish on a pizza and that red has a more delicate taste. Again I kept the pepper raw before putting it on but mainly because I like a little bite and it seemed a lot of effort to part cook it in advance. If you like a very soft pepper though then it may be worth the effort. 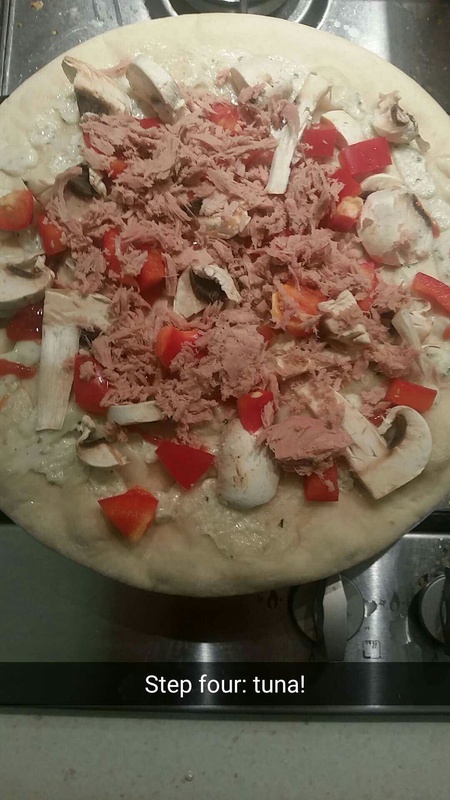 Even tinned tuna helps to make the pizza feel a bit more fresh and complete. Using tinned tuna also helps to keep it nice and moist after it has been cooked. Make sure you have fully drained the tin in advance though or you are at risk of a soggy base! You can break these little fillets up and spread them around as much as you like. For me I decided to keep them fairly whole so that only the odd bit of the pizza had that salty taste that they bring rather than almost every bite. 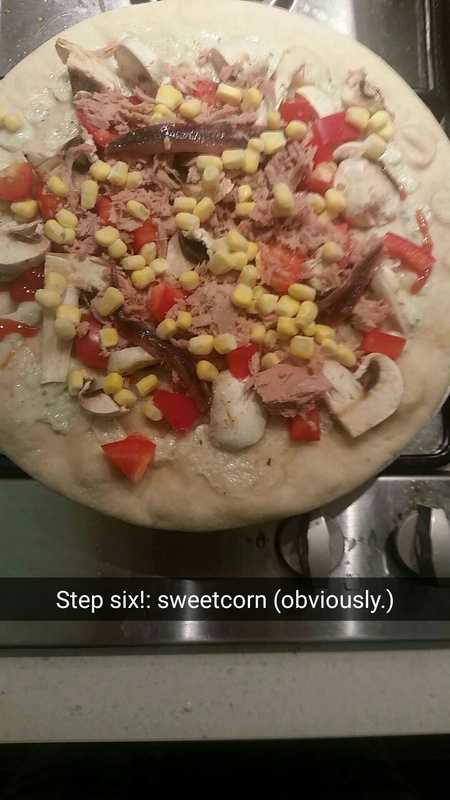 To start with I was unsure if I wanted to add sweetcorn. I originally set out to do a tuna and sweetcorn pizza but obviously got a little distracted. I was unsure of it needed anything else but it felt like it needed a pop of sweetness so I decided to throw it on. In hindsight I should have probably pre-cooked it in the microwave or let it thaw out as it did add a little extra moisture to the pizza. The base has garlic on but I often feel things need a little extra something. So I sprinkled on a bit of mixed dried herbs and figured that I could not go far wrong by doing that. Then, as is clear, I went all out on the cheese front. I started off by just intending to grate a little bit so underneath could clearly be seen but when I start grating I get into a rhythm and never quite stop in time. Still.. it is pizza.. and needs to have enough cheese to go into the oven at 180°c for 10 minutes and we would not want it to all fade away! In the end I should have probably brought the ingredients further out to the edge of the pizza to stop it being quite so middle heavy. It was not overly liquidy or greasy, despite the garlic butter, cheese and water from the vegetables meaning that it could easily be picked up without things dribbling down your arm or chin. Everything could be tasted individually and nothing was left behind reassuring me of the choices and quantities that I made along the way. It also did not leave that stodgy or heavy feeling in the stomach afterwards and I did not feel all sluggish the day after which is great. This can also be served with a side salad. I would have opted to do one but had a rather large bowl of salad for lunch and was done with water-based foods! 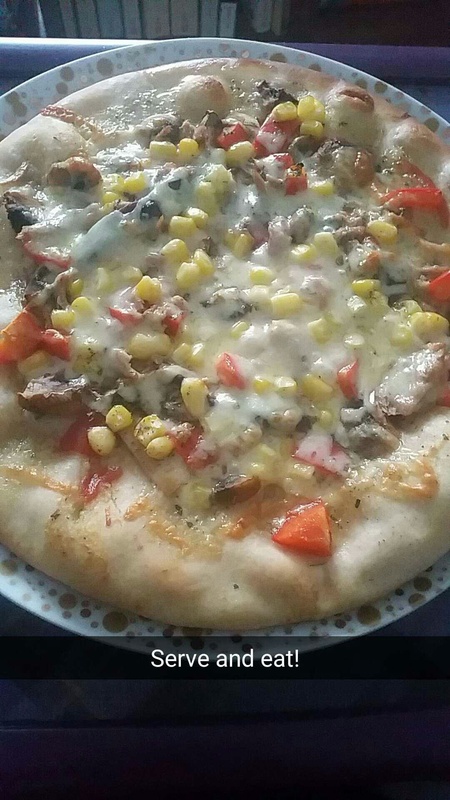 This entry was posted in Food and Drink, Recipes and tagged bake, baking, Cheese, Cook, cooking, eat, eating, Food and Drink, homemade, lblog, lblogger, lbloggers, life, Lifestyle, lifestyle blog, lifestyle blogger, lifestyle bloggers, pizza, takeaway, tasty, vegetables, yummy. Bookmark the permalink.